It seems a shame that Oregon was never able to get a championship in the BCS era. They are certainly a contender to make, and even win the first playoff though. Heisman hopeful Marcus Mariota returns to quarterback Mark Helfrich’s offense, and Byron Marshall and Thomas Tyner figure to be a two-headed monster at running back. Four starting linemen also return to pave the way for them. There is a fair amount of turnover on defense, but star corner Ifo Ekpre-Olomu returns. If the defense is good, and they can finally clear the Stanford hurdle then Oregon stands a decent chance of making the first college football playoff. Kevin Hogan returns, as does Ty Montgomery and most of the rest of the receiving corps. However, Stanford’s calling card is the power running game. They have talent at running back, but are replacing their two leading rushers and three all-conference (one of those was also an All-American) linemen. A stellar defense returns seven starters, three of which are in the secondary. They have thinned their depth a little bit, particularly at linebacker with losses of Shayne Skov and Trent Murphy. The Cardinal will need to reload defensively and up front offensively to repeat as Pac-12 champs. 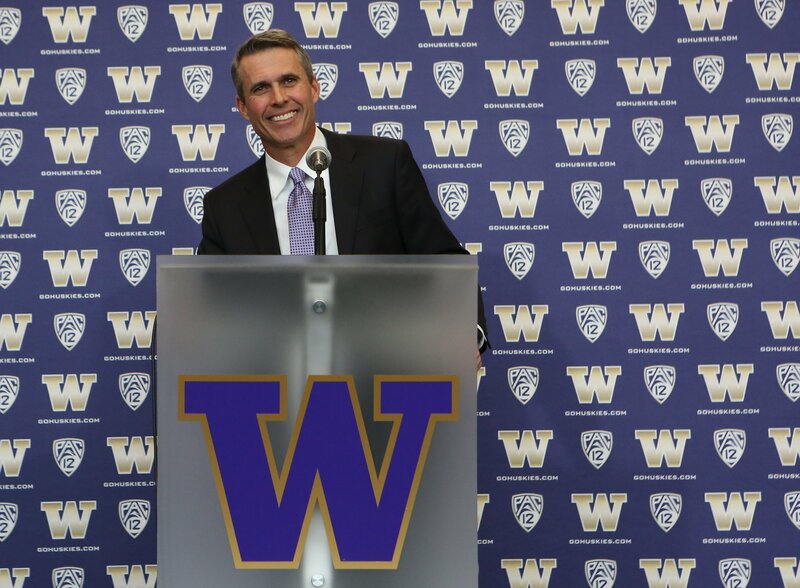 The big story in Seattle this Fall is how will Chris Petersen fare as a power conference head coach. He had immense success at Boise State, but it’s a different animal when you’re in the Pac-12 and playing 5 or 6 big games a year as opposed to 1 or 2. The offense will have to replace a trio of impact players: QB Keith Price, RB Bishop Sankey, and TE Austin Seferian-Jenkins. This won’t be easy, but the Huskies actually have the talent to do it and be good, especially considering that virtually their entire line returns. The defensive line returns almost everyone, but there is a fair amount of turnover in the back seven. They will need to improve against the run, and remain stingy against the pass to have success defensively in 2014. Sean Mannion returns after a prolific passing season in 2013. If the Beavers ran or played defense as well as they passed, they might have won a national championship in 2013. Unfortunately, they didn’t, and now Brandin Cooks and his 1,700 receiving yards are gone, along with four of the offensive line starters. The good news defensively is they have loads of depth and experience in their back seven, and they weren’t too bad against the pass in 2013, but they were bad against the run and only return one defensive lineman. The Mad Scientist begins his third season in Pullman, and the return of almost all of his offensive skill players is cause for optimism in 2014. After all, he is known for his high-octane passing offenses. The whole right side of the line is gone, however, and that could be a major cause for concern. The defense wasn’t very good in 2013 and its best player S Deone Bucannon is in the NFL now. They’ll need to step it up in 2014 or all that offense may be wasted. Inefficiency killed the Bears’ offense in 2013. That should improve some as they return 8 players on offense. They did have a very good passing offense, but also one of the worst rushing offenses in 2013. Jared Goff returns at QB. The defense was heinous in 2013. Eight starters are back, but with a defense that bad it’s hard to tell if that’s a positive or negative. A tough schedule means more growing pains for head coach Sonny Dykes. The Bruins are an intriguing team and a media darling at the moment. 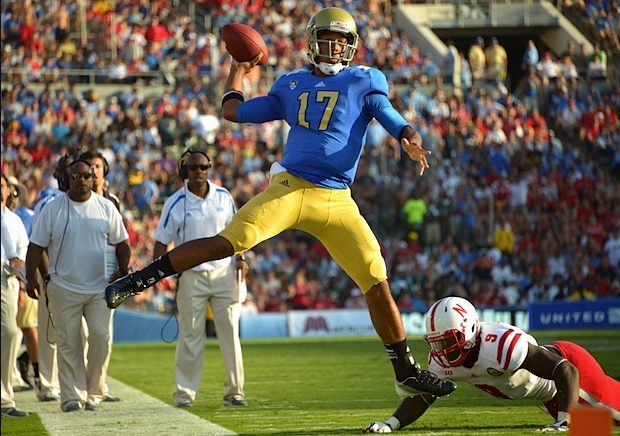 Much of that has to do with Brett Hundley, who decided to return to L.A. for his redshirt junior season and is being consider a legitimate Heisman candidate. Shaq Evans is the only significant offensive skill player loss, but losing LG Xavier Su’a-Filo will hurt and LT Torian White won’t be easy either. They return eight players defensively, including the whole secondary. The two returning linebackers are the key though. Leading tackler Eric Kendricks and “Running Backer” Myles Jack, who I suspect Chris Berman might call Myles “Jack-of-all-Trades”, hope to make this one of the stronger defenses in the country in 2014. 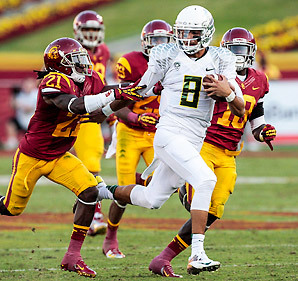 It’s weird to call USC a dark horse for the Pac-12, but that’s exactly what they are in 2014. Seven-win Steve comes down from Washington to coach the Trojans. He will need more than seven wins a year to keep this job, and he should do so in 2014. Marquise Lee is gone, but Nelson Agholor actually outgained Lee last season, and Cody Kessler returns at quarterback. They also return a pair of 700-yard rushers, who accounted for 17 rushing touchdowns. The line has some attrition, and will need to be good for the wealth of athletes to be good. Defensively, they return eight starters (only seven if Josh Shaw remains suspended) to a defense that ended up being ok in 2013 after a rocky start. Taylor Kelly returns to the helm to lead the Sun Devils in 2014. The good news is they won 10 games in 2013. The bad news is that they finished the season on two straight losses. Jaelen Strong returns at receiver after amassing over 1,100 yards last season. Three starters return on the line…which is one more than the entire defense brings back. The Sun Devils D will be green in 2014, but they do have talent. If they can catch up to the offense quickly, then they may be a dark horse Pac-12 champion contender. 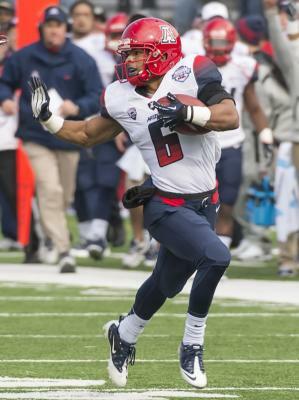 Arizona is a team with tons of speed, but for a team with so much speed the offense was not very explosive in 2013. Star rusher Ka’Deem Carey is gone, as is QB B.J. Denker. Austin Hill does return at receiver after missing 2013 with an injury. Add him to the pair of Nate Phillips and Samajie Grant and you have the making of a solid receiving corps. Four linemen also return on offense. The defense is loaded with speed, too, and returns 4 of 5 starters in the secondary. The 2013 Utes were a prime example of what happens when a decent team faces a bear of a schedule: you go 5-7. The 2014 Utes will be more of the same. They return thirteen starters, including quarterback Travis Wilson. The offense will need to limit turnovers better in 2014 to take a step forward, and the defense will need to limit big plays better than they did. They were a top 25 defense in terms of efficiency, but outside the top 100 at limiting big plays. That has to change. Colorado improved to 4-8 in 2013, and they return 15 starters in 2014. If they can find any semblance of a rushing game, behind what should be a decent line, and learn to generate a decent pass rush, then more improvement may be in store for the Buffs. 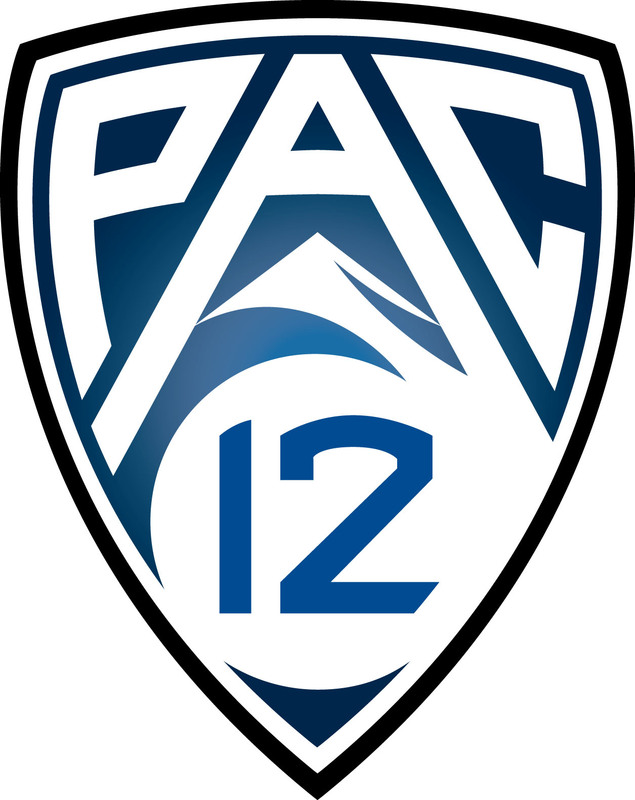 Unfortunately, the Pac-12 is brutal and the record may not reflect improvement.